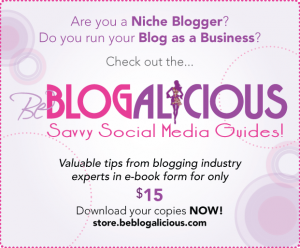 We are only a few days before Blogalicious 2009 – yippee!!! After more than 7 months of planning, it’s here and we can hardly describe the emotions that we are each experiencing right now. In an effort to keep you updated on all the happenings, we’ve put together a guide with a little information about our speakers and sponsors, as well as answers to your burning questions. You can access it here.